Situated close to the famous dunes of corralejo, -Fuerteventura and within easy walking distance of the town which offers a lot of restaurants, pubs and amazing beaches. You can enjoy the sun of -Fuertevantura having a drink by the beach this apartment comes fully furnished and with a large communal pool and a very sunny balcony. 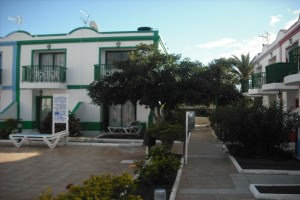 Besides, we offer this apartment in - Fuertevenuta at a very competitive price.